Clif was frustrated with the closet space he and his partner shared. Luckily, he knew exactly where to turn to get a solution for his space. The main problem in the closet was disorganization. 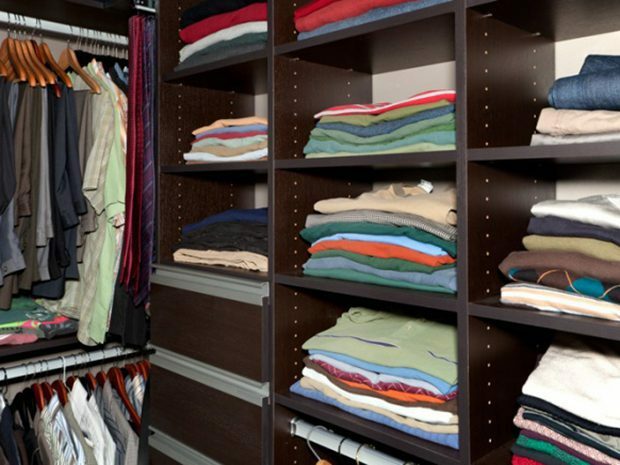 The reach-in closet’s wire system didn’t compartmentalize anything, and as a result, the couple’s wardrobe design seemed like it was all over the place without clear order. Plus, because the system was a basic wire design, using it was noisy. The drawers had no backing, and they hit the wall each time they closed. Clif and his partner wanted a solution that was sleeker and could better maximize the storage potential of the space. They worked with Heather Bishop of California Closets Berkeley to design a system that met both of those requirements. The time-lapse video, above, shows how Bishop transformed this reach-in closet from disordered to well designed, and the images below offer a more detailed look at the process. 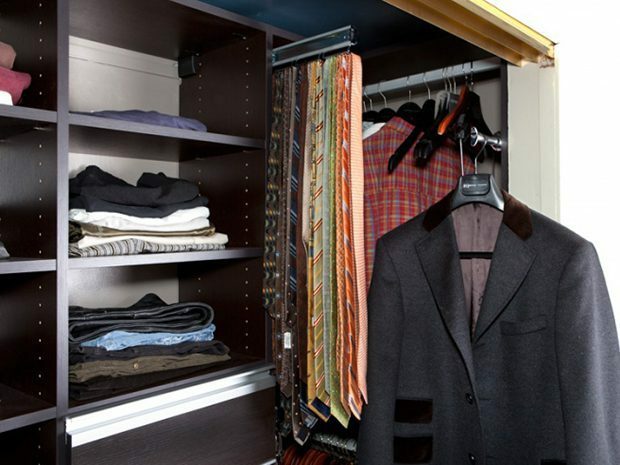 The reach-in closet was lacking a system that kept the couple’s wardrobe organized and accessible. The closet functioned on a very basic level, but it was frustrating to use. Also, the system had no sense of style or design aesthetic. The couple’s new California Closets system is both practical and sophisticated. It brings a whole new look to the room. A sophisticated Venetian Wenge finish and flat panel drawers give the space a beautiful, contemporary look. Hanging rods on the sides, complete with tie racks, optimize the space without seeming cluttered, and perfectly spaced closet shelving and drawers keep every item neat and easy to access. Additional features like soft close drawers, extrusion handles, and a signature pole created a fully functional and practical closet design.